In order to succeed in the business world, leaders must learn how to address the ambiguity in the workplace, navigate challenges, “win” their transitions and achieve a level of performance. It all requires a seriousness of thought and measure of belief, the optimistic quotient again, that your future can be an even better version of your past and that you have some measure of control on what it will look like. In other words, there are no accidents when it comes to your desired future performance state. It is purposeful, well defined, and actionable. Most leaders embrace this ideology—or they wouldn’t be leaders. They have confidence and experience to know that their inputs matter and define the ultimate outputs and results of the company. Again, it goes back to purpose and intentionality. It is not doing something just to do it, but doing something on purpose with the end game in mind. Through our work and research, Deutser has identified 11 levers that together will shift the organization toward positivity and drive performance. We work with leaders to identify the best ways to pull these levers to make an impact inside their unique organizations. These 11 levers have power and bring results. Yet, it is not only the lever itself that brings about positive change, but it is also the calibration in the deployment of the lever. There is a level of work that looks pretty good, but is merely an effort that is being compliant. In other words, they are “fine.” Things go along and don’t cause problems. They bring results that are “good enough.” They check the boxes of requirement and they mostly keep things humming along with occasional high fives. But good is the enemy of great and if you want a lever to bring change, you have to move from being compliant with efforts that look or seem like the effort is there, to committed, where your very being is invested in both the endeavor and the expectation of impact. Although to the rest of the world, compliant looks like you are accomplishing something, we identify it for what it is—checking boxes and underperforming. Whereas, with commitment, we appropriately recognize it for creating impact. Below are the 11 levers that drive impact. Each lever includes a description of what it looks like when you are only in compliance with them. The key is to understand the impact you can and want to achieve. Are you being compliant or being committed? Compliant companies are conducting annual surveys to assess organizational awareness, understanding, and engagement. However, more and more, leaders believe conducting the survey is enough—rarely sharing the results back to their employees in a meaningful way. Employees invest the time, but are not sure their voice is heard. Other companies choose to invest efforts on the front end of the research process by incentivizing employees to participate, rather than the back end where they are genuinely interested in the employee insights and then sharing results. Standardize a survey establishing a benchmark. Communicate responses with actions (50 percent of the story in this situation is better than nothing). Set up third-party administration and evaluation to encourage acceptance by the workforce. Address gaps and share the expectations to ensure accountability. Compliant companies and leadership teams set a vision for the organization. However, the vision is rarely articulated clearly, defined, or shared with the organization, or aligned with its mission and values. It is often a lofty set of goals that are disconnected with the organization’s core. Link vision to mission and the organization’s identity. Define vision and expected outcomes. Define key phrases of the vision statement with clear outcomes. Compliant organizations place emphasis on the creation of an often-robust plan. It becomes a once-every-one-to-three-year exercise, often for compliance or board requirements. The plan, rather than the planning, becomes the focus, leaving the organization with a static document rarely tethered to organizational goals and actions. Many compliant plans have limited accountability measures attached. Make planning a discipline (over the simple deliverable of a plan). Create structure for monthly, quarterly, and annual updates. Communicate expectations and progress with your organization. Compliant organizations believe in their people and invest energy in the furtherance of their values. They use the values in posters and messaging, and many times carry badges listing them. Compliant companies often weight knowledge, skills, and abilities (KSAs) over behaviors in their hiring and development processes. Some companies unintentionally allow competing models across the organization and do not link behaviors and values. Set clear expectations—identify levels and behaviors. Educate and engage employees around your values and behaviors: what they mean and what successful actions look like. Integrate values and behaviors into how you hire, evaluate, and develop your people. Compliant organizations believe in structure and work to create clarity around the reporting relationships throughout the company. However, in many companies, organizational charts don’t match people’s roles, responsibilities, or influence. Many org charts are constructed on top of an inherited organizational structure creating a “frankenstructure,” with little organizational understanding or clarity. Compliant organizations build boxes to fit the people and their skills. Create structure based on purpose, not people. Align your structure with strategy and your desired outcomes. Create pathways for expected growth (succession planning). Compliant organizations work to ensure employee performance through a series of tools, including some among the most sophisticated software programs available. These companies confuse the systems and software with the act of truly driving and measuring employee performance. Some organizations mistake performance management for an annual performance review and traditional top-down processes. Establish clear goals and expectations aligned with the strategy. Develop a feedback culture providing ongoing coaching and development. Evaluate on values and behaviors, not just KSAs. Conduct 360 Reviews on leadership focused on values and behaviors. Compliant organizations work to recognize and reward employees on a regular basis. There is talk among leadership about recognition and reward, with much of it tied to general performance. Many companies provide end of year bonuses based on unclear metrics or overly complex structures. Many of the most compliant companies place greater emphasis on reward over recognition. Other organizations limit their efforts because of budgetary constraints (often not included in the annual budget). Develop meaningful recognition programs—tie to specific targets and areas. Encourage involvement in the development of the program. Make the process as transparent as possible and ensure leadership’s continuing involvement in it. Emphasize recognition of behaviors over results (results are important too, but the focus here is the behavioral alignment). Ensure the recognition and rewards program is far-reaching—touching all levels and all areas of the organization (in other words, it’s not just about one group or another, that is, sales or service, but everyone). Compliant organizations invest in creating an office environment to support its external brand and engagement efforts. They are often well appointed, more generic spaces. These spaces are often disconnected from the culture and more focused on the customer perspective rather than the employee experience. These spaces, which are often less than authentic from an organizational perspective, have generic artwork and some even employ motivational messaging for the back- office employees. This creates inconsistency and a divide in the organization. Promote the vision, values, and behaviors within the space. Put the organization’s identity and culture on display. Leverage the design to affect the way you work. Make periodic changes to keep it fresh and employees engaged and interested. Compliant companies place great effort into communications. They have newsletters, videos, and other web-based tools. They focus on delivering the message du jour, rarely linking it to organizational strategies and priorities or taking into account the manner in which it is received by employees. They value communicating over engaging. They focus on different messages to different audiences, often with an obsession on the external customer. Develop organizational communication platform with all constituencies identified. Align communications with strategy and culture, not just operations. Promote face-to-face communication when possible (that is, no email day). Compliant companies focus on the customer experience with a variety of tools. Many place a heavy emphasis on one or two key touch points at the expense of all others. There is a lack of focus on the totality that a touch point on a customer, internal or external, will have with the organization. This produces an inconsistent understanding of the customer, an uneven narrative, and an unfulfilled experience. Identify all touch points for customer experiences. Develop a plan for each touch point before, during, and after the experience. Identify “100 little things” that can transform a customer experience. 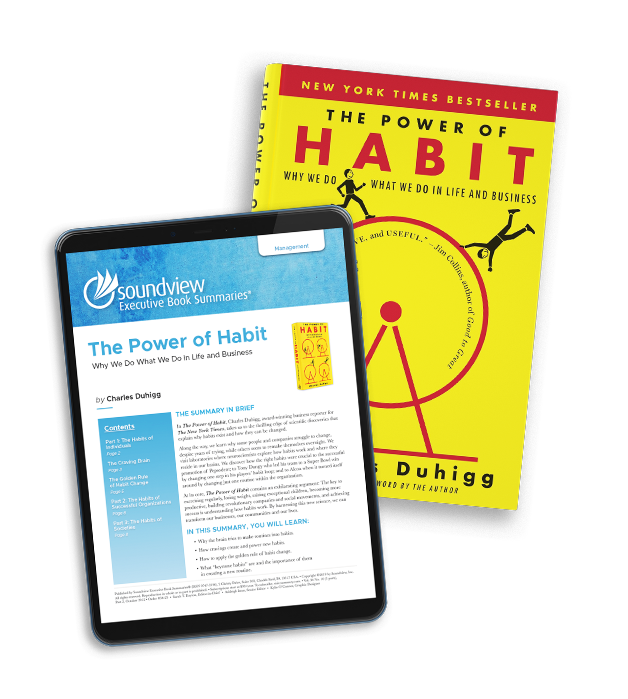 Develop a purposeful experience plan targeting a minimum number of changes each quarter. Compliant leaders spend time and effort spinning a positive story, regardless of the facts or situation. They go out of their way to incorporate lines and key phrases in memos, presentations, and speeches. Their words and energy can be perceived as disingenuous if not embedded in their actions, organization, or leadership style. Compliant organizations have C-level leaders who embrace positivity, while others below them do not. Gratitude is not encouraged or practiced throughout the organization. Promote and demonstrate gratitude in action. Conduct purposeful and positive exercises—create positive thinking. Create an empowerment culture—purposeful visibility leadership. Encourage and promote health and wellbeing. These 11 levers together will have a demonstrable impact on moving your organization toward positivity and propelling performance. In fact, this is one of the areas, as a leader, that you have a choice between being compliant or being committed. Where you land on this spectrum goes a far way in the ultimate impact you can drive. The intentionality of impact is real—and so too is the leader’s role in achieving it. Brad Deutser is the Founder and CEO of Deutser, an award-winning management consulting firm that works with leaders to create great companies inside and out — in times of transition, growth and crisis. This post was excerpted from his book, Leading Clarity: The Breakthrough Strategy to Unleash People, Profit, and Performance.